Summer 2017 is finally around the corner and we can’t wait to soak up the sun, drink some lemonade by the beach, take a dip in the pool or go on our summer vacation! But summer is also the perfect time to freshen up the closet with the hottest trends! That means for you, it’s time to get your campaigns ready for summertime. Read this article about the 9 biggest trends for the upcoming summer and find your inspiration. 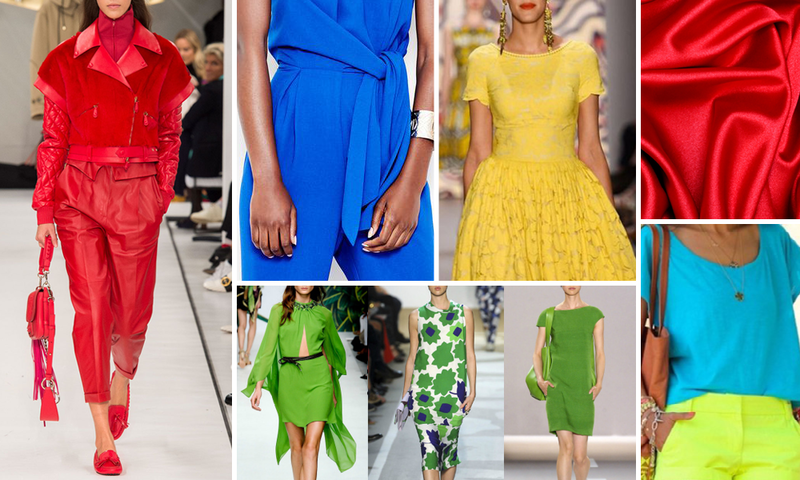 Bright colors are very much the summer trend for 2017: Be it yellow, pink, red, green or blue… everything is allowed as long as it is bright. So light up your campaigns, be brave and show color. This summer will be all about slogans. Make a cool and controversial statement with your design and let your T-shirt speak your mind! Yes, the 70’s and 80’s are celebrating their comeback! This summer is going to be colorful, with geometric checks and flowers, just like the 70’s and 80’s. 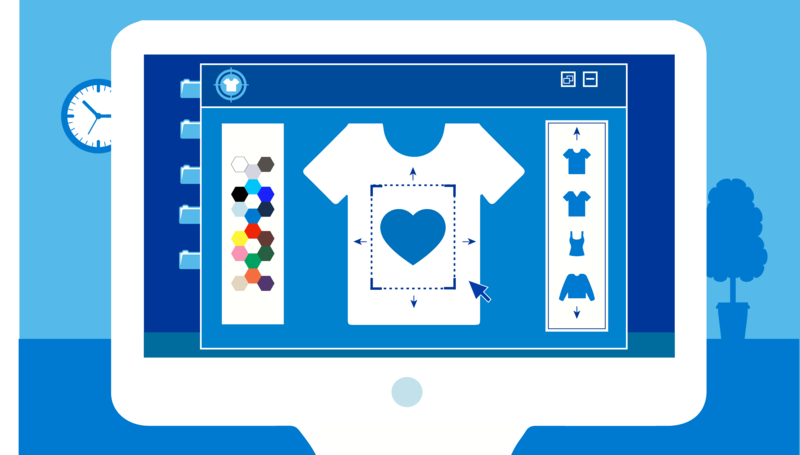 Dive back into the past, put on your favorite tune and get inspired for your designs. They are flirty, they are colorful and they are fun to wear! Flowers are THE trend of this season. They come in many different variations which gives you different possibilities to integrate this trend in your campaigns. It also suits the revival of the 70’s and 80’s very well. This season, fashion has gone graphic! Think about vibrant geometric prints and stripes for your designs and add color, to combine two trends in one. Could it get any better? 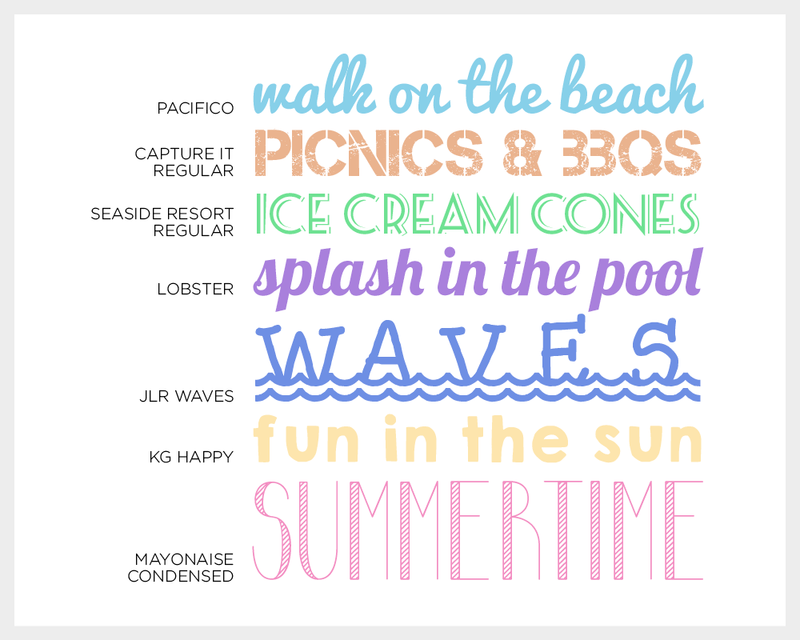 When we think of summer, we think of palm trees, beaches, fruits and ice cream with nice summery fonts. Let your imagination run wild and bring it to your designs. Summer is the favorite time for holidays. And this year, the trend destination in Europe is Portugal with its historical cities and beautiful Algarve. But also destinations like Spain, Italy, Greece and Egypt score high on the list for favorite summer vacation spots around Europe. If we take a look worldwide the Caribbean, Mexico, Sri Lanka and Japan are high in course this season. Keep holiday destinations in mind for your campaigns this summer. It’s the best time of the year to target travelers! Also, adventure travels are up and coming and make a great niche for your campaigns! Let’s not forget major upcoming events this summer: With the biggest being Tomorrowland, which this year takes place on two weekends, think also about the numerous local festivals in different countries. Music is the key and with the right design it can be your perfect niche. For all the sports fans out there, there is the football confederation cup in June, Tennis Wimbledon in July and the world championship in athletics in August that can also make the perfect summer niche for your campaigns. So start designing, dear Zilers, and make it the best summer we’ve ever had.